What a show. The bit with the shoe made me laugh. If you’re not sure what I’m talking about he has a new series out showing the limits or not limits of hypnosis. MK Ultra is real. It says so in black and white. The great author Mark Twain summed it all up nicely when he uttered the immortal line "To quit smoking is easy,I've done it a thousand times! Consciously or not, the stories we tell about ourselves and our perceptions of the world around us become our ‘reality.’ They are the building blocks that merge together to form our belief and value systems: our current worldview. Sometimes the stories we tell about ourselves and others are transformational and liberating; other times they are limiting and imprisoning, keeping us small and stuck. We need to be careful about the stories we tell, for many have a curious habit of becoming true! Stories naturally allow full expression to our senses. They are experiential: they are probably the most effective way to connect thought and experience, theory and practice, reason and emotion, logic and intuition, the light and the dark. Well told stories are highly memorable; they resonate within the listener long after other forms of communication have faded from memory. Recent research strongly suggests that the sharing of stories is essential to human evolution. In our mini-workshop there’s much that we could explore. From ways of telling, to ways of choosing, to ways of framing, to ways of illustrating, educating or challenging. Stories are also a great way to explore the tools and techniques of NLP and to illustrate them in action. Nick Owen – writer, facilitator, story teller, consultant, coach, catalyst and NLP Trainer – has been active in supporting people and organisations to envisage and create their ‘stories’ for over 30 years. He has worked with senior executives in some of the world’s largest and most successful companies, as well as with underprivileged and disadvantaged communities in Africa, South America, and South East Asia. His work spans the different, but systemically interconnected, worlds of corporate business, healthcare, education, the arts, and community development. His books include The Magic of Metaphor; More Magic of Metaphor and The Salmon of Knowledge: Stories for Work, Life, the Dark Shadow, and OneSelf. I’m creating an NLP Audio product and I need to put several pauses in. Of course, I can say "pause here" but if I want a sound to remind people to pause the DVD or mp3 (nearly said ‘tape’ there and showed my age…) what sound should I use? 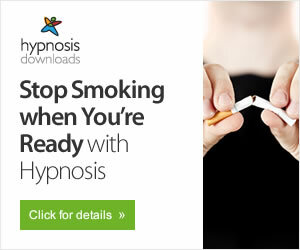 Learn how to stop smoking using hypnosis in this hypnosis video. Expert: Debbie Catz Thanks for watching Hypnosis: How to Stop Smoking using Hypnosis!